SKU: 00011. Category: Baits, Termicide Dusts. Tags: Termidor, Termidor Dust. 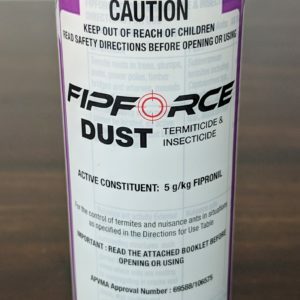 Termite Control Dust: contains 1 x 30gm Tub of Fipforce Dust (5g/kg Fipronil A.K.A Termidor dust which is n/a) and one professional puffer + adaptor. Recommended for use by professional pest controllers.